Details are fuzzy on exactly when the site of Saint Malo became inhabited again after the breaking up of its maroon community, but the area’s next residents were just as remarkable, and nearly as surprising, as its first. Referred to in the nineteenth and early twentieth centuries as Malays or, more commonly, Manilamen, Louisiana’s Filipino population is of a somewhat mysterious origin. Filipino men began arriving in Louisiana as early as 1765, arguably establishing the first Asian community in North America. They came by way of the Spanish galleon trade between Manila and Acapulco, and while it may be easy to picture them becoming dissatisfied with their lives as impressed merchant seamen, it takes a little more imagination to figure how and why they made their way from the Pacific coast of Mexico to the New Orleans area. Filipino sailors are rumored to have been among Jean Lafitte’s Baratarians at the Battle of New Orleans, though more concrete evidence of Filipinos in Louisiana doesn’t arrive until midway through the 1800s. Saint Malo’s residents, nearly all male, kept their families in New Orleans. Harper’s Weekly illustration by Charles Whitney, 1883. Photo Credit: Wikimedia Commons. Despite the lack of families, the demand for seafood kept the village busy. Hearn reported that while Spanish was the primary language, Saint Malo fishermen also spoke a “Malay dialect,” most likely Tagalog. Given Saint Malo’s isolation, its residents created and maintained their own hierarchy and justice system, closely modeled on traditional customs. 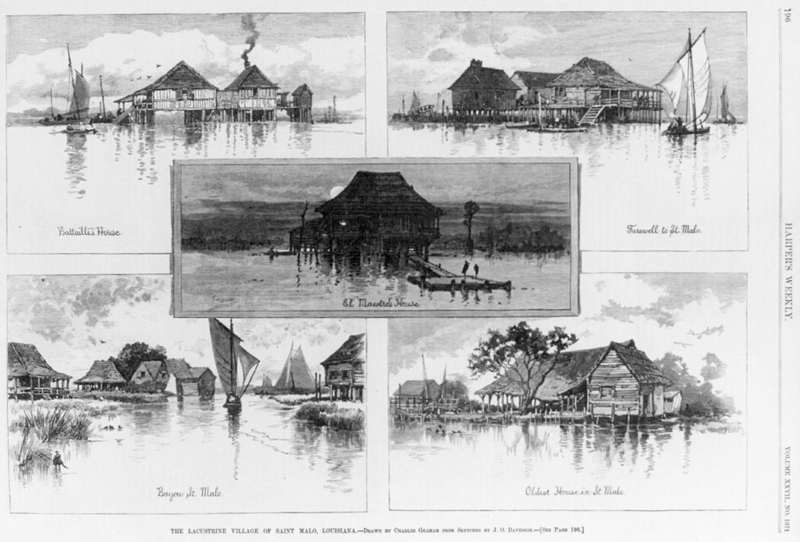 The houses of Saint Malo, built on stilts over the marsh in the traditional Tagalog style, were sketched by an artist travelling with Hearn, preserving a visual record of the Philippine village in the marshes of St. Bernard Parish. 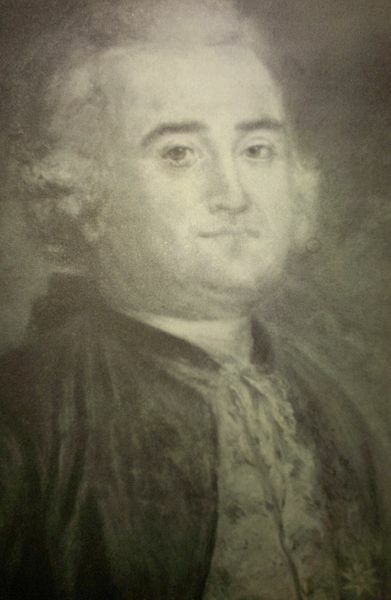 Though Hearn’s prose at times may lead to suspicions of romanticizing the residents of Saint Malo, he is also good enough to future historians by noting involvement in a New Orleans benevolent society (La Union Philippina) and other useful social and cultural information, such as the prevalence of Latin names and the form of poetry used to pass dull hours. The village described by Lafcadio Hearn remained until 1915, when it was destroyed by a particularly powerful hurricane. Another Harper’s Weekly illustration, this one depicting the artist (top left) as well as Lafcadio Hearn (top right). In the center is another view of Saint Malo, and the bottom panel depicts a night of gambling. Photo Credit: Wikimedia Commons. While Saint Malo is fascinating, an even larger Filipino fishing community could be found south of New Orleans. Manila Village, founded in the 1880s by (perhaps) Jacinto Quintin de la Cruz, lay at the back of Barataria Bay 15 miles north of Grand Isle. 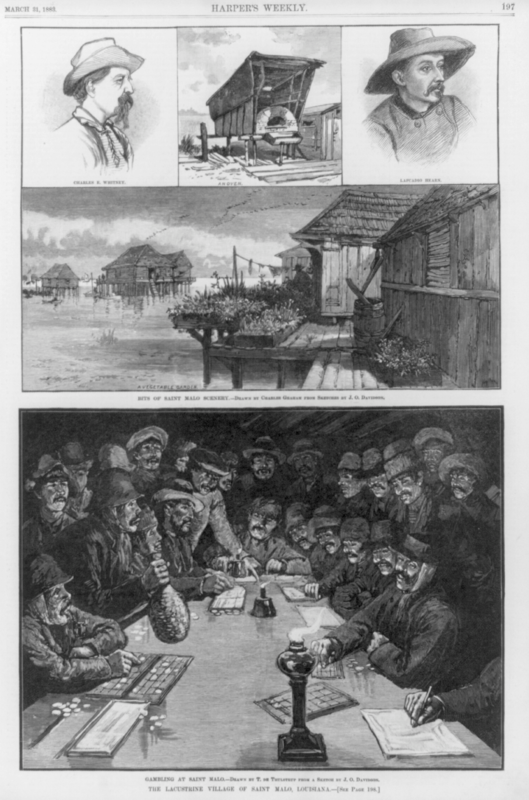 In the 1890s, up to 300 Filipino and Mexican shrimpers inhabited the village, where they added a traditional twist to shrimp trade. Enormous platforms were erected over the marsh for the drying of shrimp, introducing the Southeast Asian method of preserving shrimp to the United States (the delicacy caught on the strongest in rural South Louisiana, where Cajun shrimpers continue the practice). Like Saint Malo, there were few, if any, women to be found at Manila Village, with many men keeping their families in New Orleans, specifically in the downtown neighborhoods of Faubourg Marigny and St. Claude. Many others married into local Cajun families and took up residence in southern Jefferson and Plaquemines Parishes. It is remarkable, to me at least, that in the complex racial and ethnic hierarchy of Southeastern Louisiana, Louisiana’s Filipinos were considered to be white, and were thus able to marry white women, as most did. Despite widespread intermarriage, many Louisianans of Filipino heritage have maintained strong ties to the Philippines, their language, and their culture, all of which have, at various times, been reinvigorated by more recent immigrants and visitors from the Philippines. Further Reading: Marina E. Espina, Filipinos in Louisiana, A.F. Laborde & Sons, New Orleans, 1988. Years ago, I came across a bit of information that made Louisiana seem bigger and more mysterious for it: far out in the low marsh of Southeastern Louisiana the first Asian community in what is now the United States could be found at one time, possibly even as early as the late eighteenth century. However, I would be remiss to begin to write about the inhabitants of St. Malo without delving into the village’s namesake, Juan San Malo, the leader of Louisiana’s most famous (or infamous) band of runaway slaves. Therefore, I will be presenting this post on St. Malo in two parts: San Malo’s Maroons and Manilamen in Louisiana. As readers no doubt have noticed, I’m continually amazed by the capacity of New Orleans to hold secrets. Maybe my use of secrets is misleading (as most events that have become shrouded in either legend or neglect were of course well known to their participants), but the feeling of discovery, in each new inquiry, remains. This feeling of having many stones yet to un-turn is palpable in dense, cosmopolitan New Orleans, but it also carries over into the surrounding rural areas, marshes, and swamps; perhaps especially the marshes and swamps. With a vast maze of waterways still mostly uninhabited in the present, it is easy, at least for me, to let my imagination run with the accounts and myths of pirates, explorers, and Indians. While there is no shortage of legends, the purpose of this post is to highlight two groups of people who eked out a living in this wilderness, and in both I hope you will find the feeling being let in on something little-known, something that just makes the world feel bigger and more mysterious, just as I did when I discovered these groups myself. First, a little background is needed to understand the role of Juan San Malo. The vast wilderness of Louisiana, along with the chronically underfunded and undermanned nature of the French colonial government and the quickly growing slave population, created surprising differences in one important aspect of the institution of slavery: marronnage. All New World slave societies grappled with, attempted to prevent, and feared the prospect of runaway slave communities, but in Louisiana the labyrinth of back-swamps made escape much easier than recapture. In his 2012 book, The Accidental City, Lawrence N. Powell notes that among smaller slave holders, the practice of petit marronnage was widely tolerated for practical reasons. In petit marronnage, slaves would leave the plantation they were bound to during slack times for an indiscriminate amount of time. While gone, they might have visited relatives or initiated relationships at other plantations, worked for hire under false pretenses, or worked in one of the temporary lumber or fishing camps operated by mobile bands of fellow runaways, or maroons. While petit maroons would consistently return to their owners in time for replanting or harvest (the voluntary return of slaves was one important reason why short periods of absence were overlooked), grand marronnage was what slave owners feared most. The glaring difference between grand and petit marronnage is that grands had no plans on returning. Fortunately for them, the demands of the growing colony created niches for them to make a living even as fugitives; sawmills in particular were notable for overlooking the fugitive status of their suppliers. Trade was also consistently carried on between maroon communities and slaves living on the plantations, including trade in food, game, and firearms. The known existence of these, albeit clandestine, maroon communities on the edges of Louisiana plantation society kept certain pressures on the slave owners. The first was the near constant fear losing slaves to grand marronnage, or worse, the open rebellion of slaves inspired by maroons to be free. The slaves knew this too, and were sometimes able to use this knowledge as a bargaining device in asking their owners for allowances, including travel privileges, additional garden space, or other supplies. Little is known of Juan San Malo (or Jean Saint Malo) before he became the leader of a band of escaped slaves sometime after 1768. We do know that San Malo was last owned by Karl Friedrich D’Arensbourg, a Swiss-born colonial official along the German Coast of the Mississippi River who was exiled by Spanish Governor Alejandro O’Reilly. The name, Malo, has been ascribed several meanings, from the name of a French port, to the Spanish “bad,” to historian Gwendolyn Midlo Hall’s plausible and interesting explanation that Malo was a word of Bambara origin meaning shame, or one whose actions bring shame to others. Juan San Malo’s band of maroons became famous between 1773 and 1784, when it began to clash with outsiders. At that time, while San Malo apparently continued to visit the backswamps of the German Coast, he claimed the land from the Rigolets to the Ville Gaillarde (the land between Lake Borgne and the Mississippi River), as well as the south shore of Lake Borgne, as his sovereign territory, forbidding any and all whites from entry. 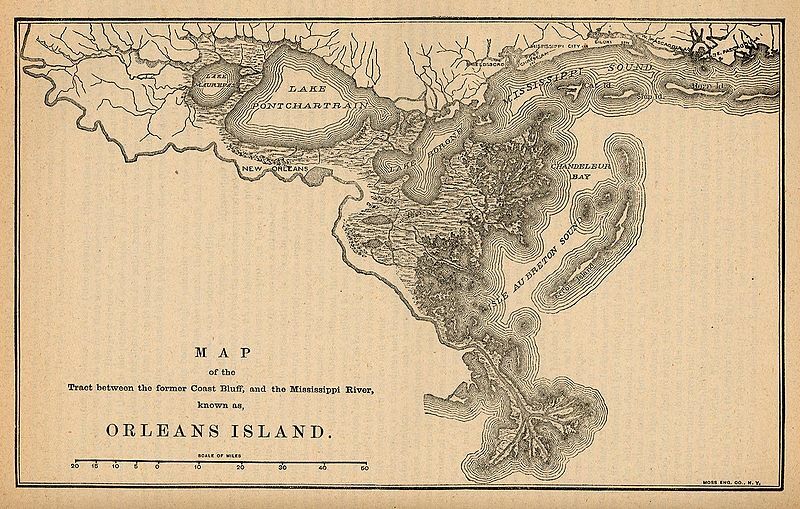 This 1880 map, made to illustrate the area known as the Isle of Orleans, also does a great job of depicting the territory claimed by San Malo: from the Rigolets to the river, as well as the peninsula that makes the south shore of Lake Borgne. Photo Credit: Wikimedia Commons. In 1782 San Malo’s band killed two Americans near Bay St. Louis. The Americans, in addition to trespassing on Spanish territory, had run afoul of San Malo by not only entering his territory, but also attempting to kidnap some maroons for sale as runaways. Four English trespassers met the same fate. An Indian trade summit called away Governor Esteban Miró in the spring of 1784, leaving as acting governor Francisco Bouligny, a militia commander and large slave-owner who had been frustrated by the Cabildo’s lack of enthusiasm when it came to capturing maroons in the Bas du Fleuve (“down-river” area) since at least 1776. When information about the location of San Malo’s band of maroons reached Bouligny by way of the network of plantation slaves, Bouligny ordered the first expedition to capture San Malo at Ville Gaillard. The first attack was successful in capturing some of San Malo’s camp, but San Malo took the opportunity to counter attack, recapturing all but one of the prisoners. A second expedition, based on intelligence gathered from a spy within San Malo’s band, was successful in locating and capturing San Malo, along with forty to sixty maroons (some of the maroons in San Malo’s band were able to escape, and either remained in the Bas du Fleuve or relocated to Barataria). San Malo was tried at the Cabildo, and was quickly convicted and hung in front of the St. Louis Cathedral. The other captured maroons, while their lives were technically spared, were submitted to tortures, including lashings and brandings, which bordered on the edge of human endurance. A portrait of Francisco Bouligny, artist and date unknown. Photo Credit: Wikimedia Commons. Cases of both petit and grand marronnage no doubt continued in Louisiana, even through changes in the institution of slavery slowly implemented after the state joined the United States. But never again was there a band of runaway slaves as large, as notorious, or as defiant as San Malo’s. Remnants of San Malo’s extensive territory can be found in the place names of St. Malo, Marron Lake, Bayou Marron, and Bayou Saint-Malo in St. Bernard Parish. Lawrence N. Powell, The Accidental City, Harvard University Press, Cambridge, 2012. St. Edwards University in Austin, where I did my Bachelor’s in History, was kind of funny in that it didn’t have a dedicated American History department. The study of U.S. History I did there was often through the lens of American Women’s History, Modern European History, or, crediting my two favorite professors there, Russian and Mexican History. The Mexican history connection makes a lot of sense: the university has long drawn a significant portion of its students directly from Mexico, in large part due to the lack of Catholic learning institutions in Mexico (a shortcoming that is traceable to the subject of this post). 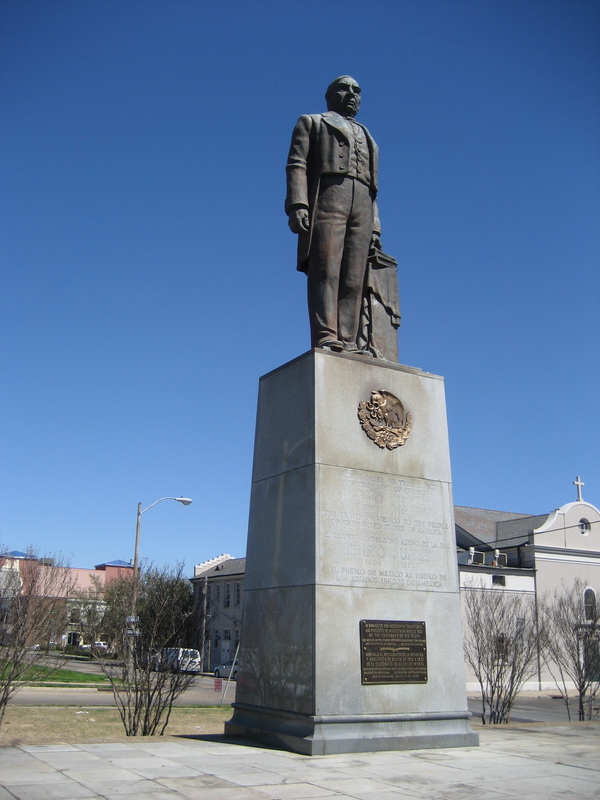 Long story short, it was at St. Ed’s that my fascination with Mexican history and culture deepened, and where I learned about the great Mexican reformer Benito Juárez, who has an interesting New Orleans connection. Mexican history is captivating, to me at least, because of the high drama: periods of oppression are followed by serious and promising periods of progressive reforms in democracy, education, and equality, only to be followed by later swings back toward oppression and stagnation. Benito Juárez’s career fits easily into this (albeit arbitrary) dialectic: he was one of Mexico’s greatest reformers who lived through several swings from right to left in Mexican politics. An undated Photograph of Benito Juárez. Photo Credit: Wikimedia Commons. Born a Zapotec Indian in a small village in Oaxaca in 1806, Benito Juárez was orphaned at the age of three and made a living as a shepherd until he journeyed into the city of Oaxaca to attend school for the first time when he was twelve. Though he began school without the ability to read, or even speak Spanish for that matter, Juárez excelled at his studies and became a lawyer in 1834. In 1841 Juárez became a judge, and in 1847 became the governor of Oaxaca. Juárez’s liberal politics and opposition to the dictatorship of Antonio López de Santa Anna landed him in prison in 1852, though he was able to escape both imprisonment and Mexico in 1853. Along with his brother-in-law, Juárez arrived in New Orleans with little capital, and though he had been governor of Oaxaca, he had no connections to draw from in Louisiana. As luck would have it, Juárez met a “doctor” Borrego, who saw patients despite a lack of credentials. The “doctor” took Juárez and his companion in, teaching them to roll cigars in the one room cigar factory/doctor’s office that Borrego kept on what is now Dauphine Street in Faubourg Marigny. For two years, Juarez, the former judge and governor, worked as a cigar roller in New Orleans. While in the city, he made the acquaintance of Melchor Ocampo, a Mexican politician and scholar who had been living in exile in New Orleans after running afoul of Santa Anna in 1850. Together, Ocampo and Juárez contributed to Juan Álvarez’s Plan de Ayutla, a liberal push to overthrow the dictator and establish a democracy, from New Orleans (personal note: I was not able to find many details on correspondence between Ocampo and Juárez in New Orleans and Alvarez in Guerrero, and I think this could be an interesting research project). An undated photograph of Melchor Ocampo. Photo credit: Wikimedia Commons. Juárez returned to Mexico after the ousting of Santa Anna in 1855. A new, democratic, liberal government was assembled under the leadership of president Juan Álvarez, who was selected as a moderating force after the hostilities, in part, because of his old age. Álvarez installed the backers of the Plan de Ayutla as his cabinet, including Sebastián Lerdo de Tejada as Secretary of Development, Juárez as Minister of Justice, Ocampo as Minister of the Treasury, and Ignacio Comonfort as Minister of War. 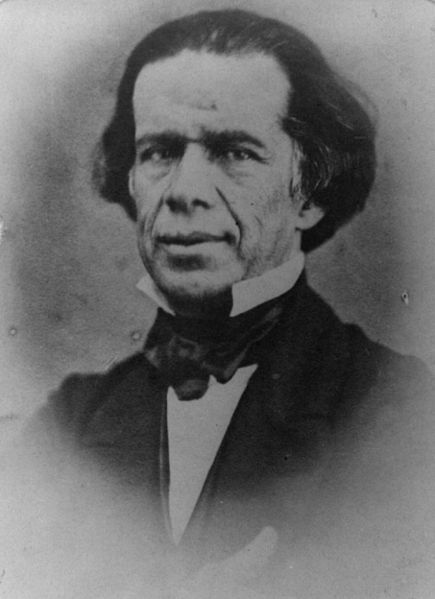 Comonfort was elected president in 1857, and appointed Juárez as head of the Supreme Court. Under Comonfort’s presidency, Lerdo and Juárez enacted two eponymous laws (the Ley Lerdo and Ley Juárez) that greatly curtailed the influence of the church and military in Mexico. Together, the laws essentially created a separation of church and state in a country that had previously operated in a near-theocratic manner (abetted, and perpetuated, by a privileged military class). Reactionary conservative forces balked at these reforms, prompting Comonfort to seek to appease them, even briefly imprisoning Juárez. However, Comonfort continued to stand by the Leyes Lerdo and Juárez, angering reactionaries to the point of counter-revolution, and leading both sides to blame him for the ensuing Reform War. 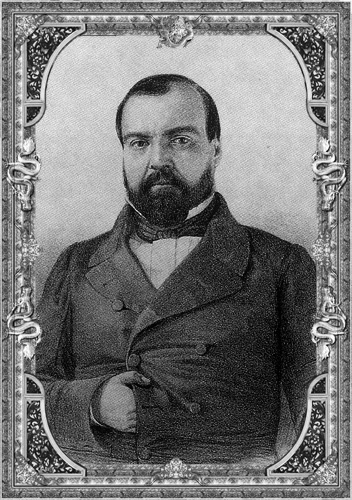 A lithograph of Ignacio Comonfort. Photo credit: Wikimedia Commons. Amidst the reactionary takeover of Mexico City, Comonfort fled to the United States, first landing in New York, but then settling in (you guessed it) New Orleans to facilitate easier communication with interim President Juárez’s government-in-exile in Veracruz. Juárez’s government was able to retake the capital in 1861 (Juárez may have briefly returned to New Orleans during the Reform War, but details in secondary source material I found are scant), and Juárez was officially elected president that year. Comonfort offered to have himself tried for his role in the start of the Reform War, but a dramatic turn of events prevented the trial. The conservative forces had financed their side during the war through massive loans from France, and when Juárez’s government stalled their repayment, France invaded (Comonfort redeemed himself to Mexico’s liberals when he took a commission as an officer in the fight against France). 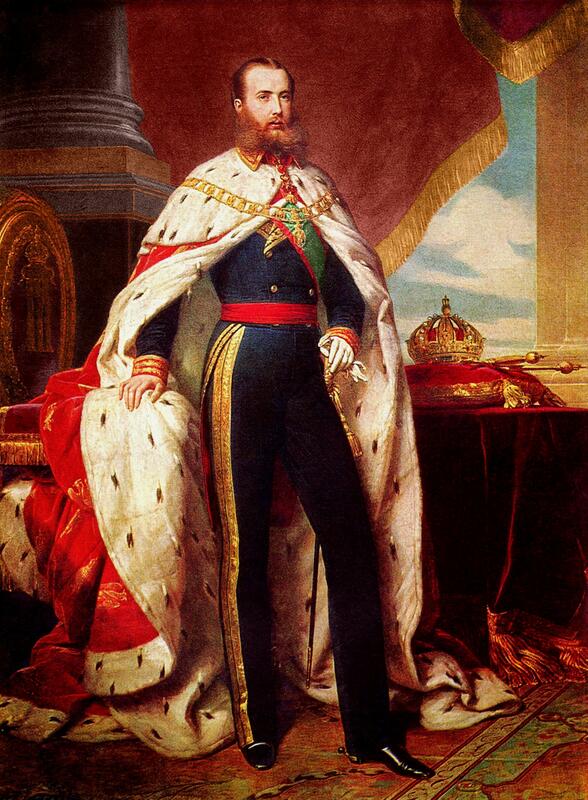 Portrait of Maximilian I of Mexico, by Franz Xaver Winterhalter, 1864. Photo credit; Wikimedia Commons. Juárez set up a new government-in-exile first in El Paso, and then in Chihuahua (the city is now known as Ciudad Juárez) during the French Invasion. With the aid of the United States, Juárez carried on a war with the French-backed Second Empire of Mexico (which was supported by the conservatives and monarchists who lost the Reform War) and its emperor, Maximilian the First. As it turned out, Maximilian was reform minded, and even reached out to Juárez with the offer of the role of Prime Minister, but legend has it Juárez could not stomach the idea of serving anything less than a free Mexico. His reign constantly troubled by the ongoing war with the liberals, Maximilian decreed that any prisoners of war captured from Juárez’s ranks be immediately executed. When Juárez was able to recapture the capital in 1867, Juárez used this policy of the emperor’s to justify Maximilian’s own execution, despite international outcry. 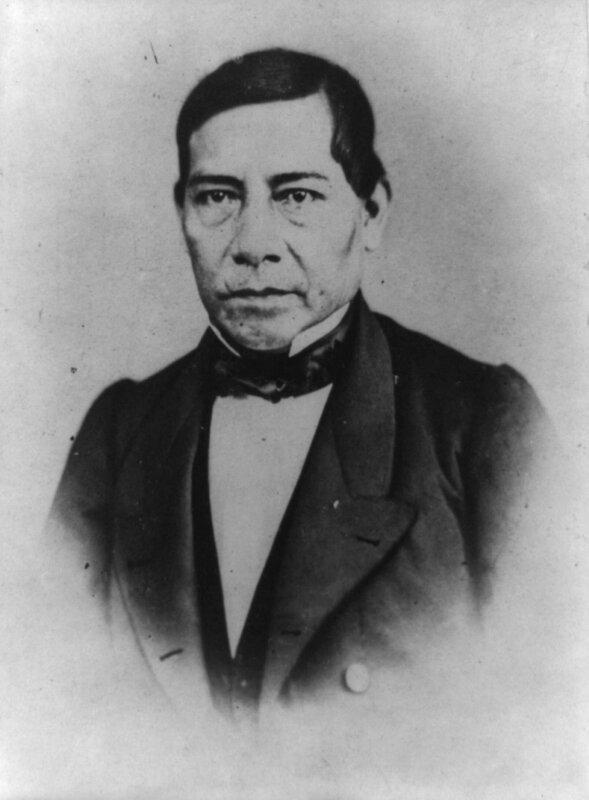 Benito Juárez was re-elected twice after re-assuming the official office of the president in 1867, and he died in office in 1872. Despite moments of intense controversy, such as his execution of Maximilian, or his re-elections in the new Mexican Republic, Juárez is remembered as one of Mexico’s greatest reformers. His policies, from the Ley Juárez to those enacted as president, expanded education and increased the political power of the common person, at the same time severely limiting the role of priests and the military in politics. Though Juárez is credited with fostering and restoring a stable democracy in Mexico (in Mexico the period of Juárez’s presidency is known as La Reforma), the country tipped towards autocracy again in 1876, and democracy would not return to Mexico until after the 1910 revolution. Juárez is well remembered in Mexico, with two cities and a mountain range named in his honor, as well as various streets and monuments throughout the country. The Juárez monument on Basin Street. Photo credit: Infrogmation via Wikimedia Commons. A city beautification project begun by New Orleans Mayor deLesseps “Chep” Morrison in 1957 renamed the neutral ground of Basin Street the “Garden of the Americas.” Over the next decade the neutral ground would become home to statues commemorating great American (in the broader sense than most in the United States commonly use) leaders: Simon Bolivar of South America, Francisco Morazán of Central America, and Benito Juárez of Mexico. Juárez’s statue was installed in 1965, and officially dedicated on the 100th anniversary of his death in 1972: its inscription reads that the monument was dedicated as a gift from the people of Mexico to the people of the United States. Further Reading: Ray F. Broussard, “Vidaurri, Juarez, and Comonfort’s Return From Exile,” The Hispanic American Historical Review, Vol. 49 No. 2, 1969. Big news for the author of Lagniappe and Other Essentials: after six years in Portland, Oregon, my wife and I are in the midst of relocating to New Orleans. While we’ll miss the great group of friends we’ve been lucky enough to assemble during our time in the Northwest, we’re also excited by new adventures and new opportunities in the Crescent City. I hope this big move explains the lack of new posts on this blog in the last month. Fear not: I’ve got a big handful of rough drafts going and will be updating soon, so keep passing by in the near future for posts on filibustering, the “House of the Rising Sun,” St. Malo, and more. 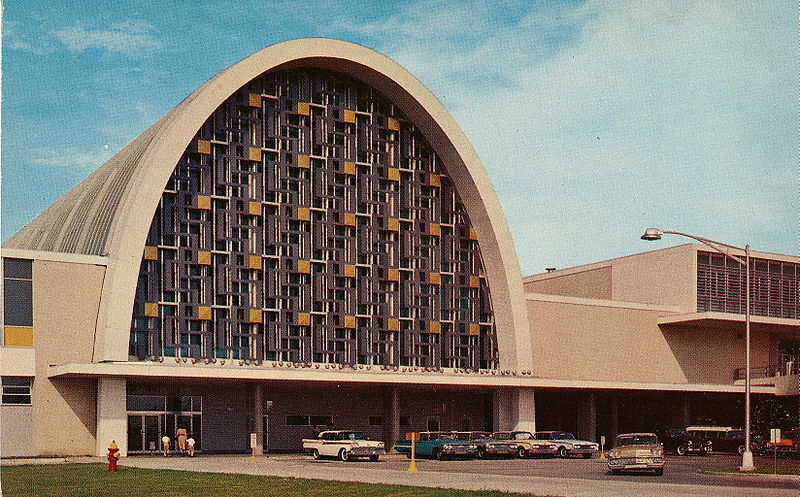 As we get ourselves established in New Orleans, you can also expect more posts coming directly from the City that Care Forgot, with on-the-ground photos of the places discussed and historical links to current local events. So, as I did in my first post, I ask you to wish me luck and stay tuned here for the (hopefully) great things to come. The problem with getting more practice at chess is that many find the game so intimidating, the only ones who will agree to play with you are usually already quite good at it. It was during one such attempt of mine to improve my skills by losing a series of games to a friend that I decided to bone up on openings and defenses, hoping to gain an edge against my opponent. That’s when I discovered Paul Morphy, the New Orleanian known to the world as the “pride and sorrow of chess,” and I’ve been fascinated by him ever since. An undated picture of Paul Morphy, photo credit: Wikimedia Commons. Despite having only a two-year career on the international chess circuit, Morphy’s skill and strategy are still studied by not just chess enthusiasts, but also mathematicians interested in understanding how he made his calculations so quickly. Michael Kurtz provides a short but comprehensive biography of Morphy in his 1993 Louisiana History article, “Paul Morphy: Louisiana’s Chess Champion,” which you should read in case my even shorter sketch of Morphy’s life piques your interest. The Morphy family home on Royal, now housing Brennan’s restaurant. Photo credit: Infrogmation via Wikimedia Commons. Paul Morphy was born in the family home at 1113 Chartres in 1837 (the house is known as the Beauregard-Keyes House today), and grew up in a larger house at 417 Royal Street. He came from a leading Creole family; his father, Alonzo, was a lawyer who served as a state legislator, Louisiana Attorney General, and sat on the Louisiana Supreme Court. The name, Morphy, was originally Murphy, but was changed by his great grandfather upon his immigration from Ireland to Spain in 1753. An uncle later embellished some stories of Morphy’s childhood, but the documented events of the young Morphy’s life are impressive enough. In December, 1846, General Winfield Scott was travelling through New Orleans on his was to take command of the army in Mexico, and let it be known to his hosts that he wished to play the city’s best chess player during his stay. At age nine, Morphy already had a reputation in New Orleans, and General Scott was persuaded to play the young boy. Morphy beat Scott fairly quickly in the first game, and announced shortly into the second that Scott had set himself up for an inevitable checkmate. Having quickly lost two games to a young boy, Scott’s pride was surely hurt, as he left in a huff without congratulating Morphy on his wins. Just after his thirteenth birthday, in 1850, Morphy had an even more impressive showing by defeating, in three matches, the Hungarian chess master János Löwenthal. Löwenthal, considered to be one of the premier chess players in the world at the time, would, in 1860, write a book on Morphy’s strategy. An 1858 staged photograph of Morphy and Löwenthal. The two remained friendly for years after their first match, and Morphy contributed his signature to sections of Löwenthal’s book on Morphy’s games ghostwritten by Löwenthal himself. Photo credit: Wikimedia Commons. Though recognized as a chess prodigy in New Orleans, Paul Morphy showed little interest in anything other than his ultimate goal: to become a successful lawyer like his father. After his 1850 match against Löwenthal, Morphy dove headlong into his studies. Completing law school in 1857, at age twenty, Morphy was forced to wait until he turned twenty-one to take the bar exam in Louisiana (though, as Kurtz notes, there was no doubt that Morphy would pass the exam, as he could recite the entire Louisiana Civil Code in both French and English). With a year to fill before he could become a lawyer, Paul Morphy turned to chess: that summer was the occasion of the first American national chess championship. Morphy travelled to New York in the summer of 1857, winning the tournament with fourteen wins, one loss, and three draws, a record that stood until broken by Bobby Fischer in 1963. Morphy’s one loss was due to a frustration that would plague him throughout his brief career; in the days before timed chess games, Morphy’s opponents could take up to two hours to contemplate a single move, while Morphy never took more than twelve minutes. To keep himself entertained, Morphy would adapt his style to include dramatic sacrifices before winning. Capitalizing on his recent win at the first American chess competition, the New Orleans Chess Club issued a challenge to invite Howard Staunton to play Morphy. In the years before an official world chess championship, Staunton was considered by many to be the de-facto world champ. Staunton dodged the offer as best he could, even after Morphy travelled to England in 1858 to accommodate Staunton’s teaching obligations as a Shakespearian scholar. Morphy occupied himself by playing matches against the best players in London before striking out for Paris, then considered to be the international hub of chess. In Paris, Morphy began taking on the well-respected opponents from across Europe he found at the Café de la Régence. While waiting for one such opponent to (reluctantly) return to finish a series of games that Morphy was winning, Morphy began designing feats to keep himself entertained. In September, 1858, Morphy sent out a challenge to the chess masters of the Café de la Régence, in which he would take on eight of the best players that Paris had to offer simultaneously, and while blindfolded. Owing to the long periods of time his opponents took in calculating their moves, the eight-way match took ten hours (Morphy never once leaving his seat or taking a drink). Of the eight concurrent games, Morphy won six and drew two. Morphy playing Jules Arnous de Rivière in Paris, 1858. Photo credit: Wikimedia Commons. Morphy quickly became a celebrity in Paris, and, perhaps due to his elite Creole upbringing, blended into the city’s aristocracy seamlessly. Morphy was feted and often invited to the opera (a lifelong passion of his) by the finest of Paris, though they often did so only to challenge Morphy to a game in their private boxes. In his time in Paris, Morphy was also steadily racking up victories over all of the European greats to be found. When he returned to the United States in 1859, his celebrity followed. Morphy, however, seems to have become increasingly bored with the game. After arriving in New York that May, he began taking on opponents only after they agreed to an advantage (typically the advantage of a knight). Michael Kurtz traces Morphy’s disillusionment with the professional chess circuit, in part, to Howard Staunton’s repeated refusals to take on the young challenger. In 1860, Morphy declared that he would never again play the game for money, and from that point on would never play the game without his opponent having the advantages of pawn and move (having one more pawn and making the first move). Morphy on the occasion of his 1859 return to New York. Photo credit: Wikimedia Commons. Morphy’s return to New Orleans to establish his law practice was thwarted by the start of the Civil War. There is much speculation as to why Morphy did not use his ties to Confederate General P.G.T. Beauregard to take a commission as an officer in the Confederate Army (one reputable biographer depicts Morphy as a Unionist), but as it stood, Morphy spent the majority of the war in Havana and Paris. Morphy’s absence from New Orleans (and the Confederacy) during the war could be one reason why his law practice never took off in the years after it. One popular legend about Morphy’s failure as a lawyer is that many potential clients only pretended to have legal concerns so that they could personally challenge Morphy to a game of chess. With little to occupy him professionally, Morphy fell into a daily rhythm of attending mass, taking long walks followed by a late afternoon bath, and attending the opera in the evening. In this stagnation, many reported that signs of a mental imbalance or illness were becoming steadily more apparent in Morphy’s character. On July 10, 1884, after one of his long walks around New Orleans, Morphy suffered an apparent stroke during his bath and died. Rumors of his mental decay fuelled even more rumors about the circumstances of his death, as the former chess champion of the world was remembered in New Orleans more as an oddity than a prodigy. Personally, I’ve always wanted to do more research on Morphy’s Civil War years in Havana and Paris, and am very interested to see if it was his politics, rather than his later mental decay, that doomed his law practice. Many commentators on Morphy’s life have had trouble avoiding the temptation to apply armchair psychology to the known facts about Morphy after he left the game, and comparisons to America’s other most famous chess prodigy, Bobby Fischer, seem unavoidable as well. While it was Fischer who first broke many of Morphy’s records, attempting to utilize the little that exists on Morphy’s mental state or his private motivations in the historical record to make such comparisons is a dubious practice. We’re keeping things lakeside for the time being here at Lagniappe and Other Essentials. Maybe it’s the winter weather up in my neck of the woods, but I’ve found myself daydreaming lately about watching a spectacular Lake Pontchartrain sunset on some balmy New Orleans evening. Since I touched on the West End and New Canal Lighthouse briefly in my last post, this week’s post will highlight a historic New Orleans neighborhood that would have been especially nice on just such an evening: Milneburg. 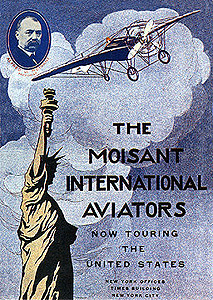 Postcard by H.J. Harvey in 1921 showing Milneburg from the air. Note the network of raised walkways splitting off from the central pier. Photo credit: Wikimedia Commons. Pronounced Mill-en-burg, this over-the-water development started out as a port championed by developer Alexander Milne. As mentioned in the previous post on New Orleans’ transportation canals, access to the lake provided an important shortcut for East/West shipping along the gulf coast. In 1830, work began on a railroad to connect the river and the lake. The Pontchartrain Railroad, which ran in the neutral ground of Elysian Fields Avenue, utilized horse-drawn carriages until 1832, when it became the South’s first steam locomotive powered railway. Tracks extended over the lake on a long pier to aid in the quick unloading of large ships docked at the new Port Pontchartrain. Milneburg as depicted in the 1883 Robinson Atlas of New Orleans. The 2,100 foot pier literally goes off of the map! Various temporary lighthouses marked the end of the pier, 2,100 feet from shore, until a permanent lighthouse, funded by the federal government, was completed in 1855. Shooting off from the pier, businesses catering to sailors and the shipping industry were built over the water. Though commercial shipping going through Port Pontchartrain began to decline at the end of the nineteenth century, the easy access to the lake that the railroad provided made the Milneburg pier a popular destination for recreation, especially on warm summer evenings. In addition to the saloons and hotels branching off from the pier, private camps and rental houses were also constructed over the water, connected via a web of raised walkways. It was as a resort that Milneburg made its most lasting contribution to New Orleans. The camps at Milneburg were one of several important locations for the communication of jazz across the color line. Though segregated, the dancehalls, saloons, and rented camps were so densely packed in along the waterfront that it would have been impossible for musicians to avoid hearing each other. Milneburg became one of the few venues where white and black musicians could learn from, and compete with, each other directly, thus allowing for the transmission of early jazz to white musicians and audiences. In 1923, integrated jazz bands were still virtually nonexistent, but in that year in Chicago, Leon Roppolo and Paul Mares of the New Orleans Rhythm Kings engaged in a rare and historic collaboration with Jelly Roll Morton. 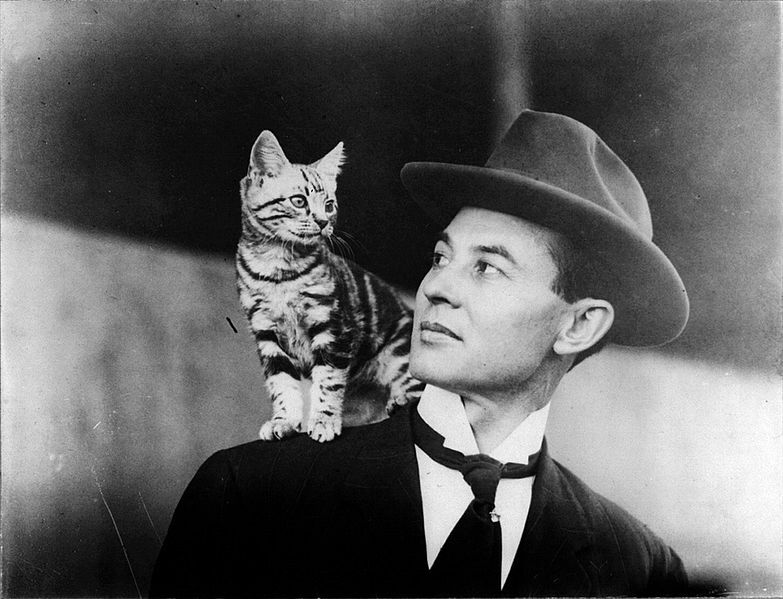 The pair had sought out Morton after a stretch of playing in New York, and hoped that the sessions with Morton in Chicago would help them to capture the “hot” sound coming out of New Orleans. In the session that followed, the trio wrote and recorded “Milneburg Joys,” commemorating the area’s contribution to early jazz. The session was one of the first in which black and white musicians were recorded together, and the song remains a standard in New Orleans music. This WPA photo taken in 1941, likely from the top of the Port Pontchartrain lighthouse, shows the historic area of Milneburg after the land building project. Elysian Fields is the street in the center of the photograph. Photo credit: Wikimedia Commons. A land expansion project in the 1930s buried Milneburg as it pushed the boundary of New Orleans northward into the lake. Ridership on the Pontchartain Railroad (with its antique steam engine nicknamed “Smokey Mary” by locals) had been declining as more New Orleanians purchased cars, and the last passenger run for the railway was in 1932. For the next three years the railroad hauled earth and materials for the land building project that would make it obsolete. In the late 1930s, the Pontchartrain Beach amusement park was relocated from its original Bayou St. John location to the historic location of Milneburg, where it remained until closing in 1983. Today, the only vestige of the past in Milneburg is its old lighthouse, once located at the end of a long pier, now about one hundred yards inland from the shore. The Port Pontchartrain lighthouse today. Once a feature of Pontchartrain Beach’s midway, the lighthouse (originally 2,100 feet offshore) sits at the unused center of UNO’s technology park. Photo credit: Infrogmation via Wikimedia Commons.